Sometimes, you want to merge two partitions, but you find “merge partition” option is grayed or the partition you want to select is grayed. 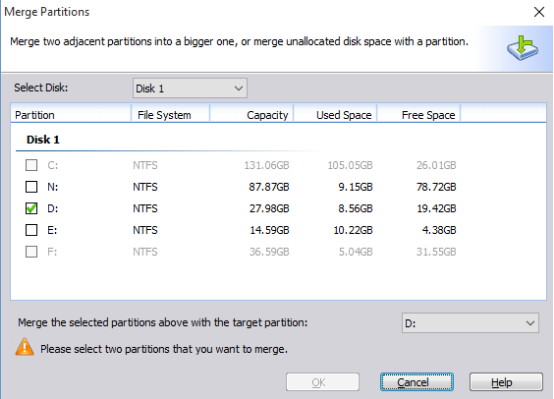 Case 1: Two partitions that you want to merge located on two different disks. 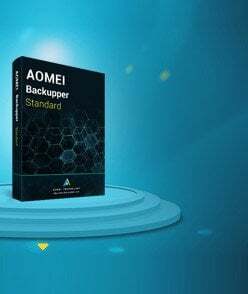 If it is case 2, our software doesn’t support merge System reserved partition because of this partition contains files used for booting system. If it is case 3, the host partition must have at least 1GB free space. You can delete some useless files to release more free space for the partition. Or, you could first shrink the second partition from the front to get an unallocated space. 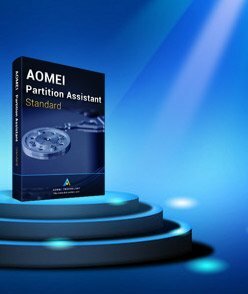 Then you could use “resize partition” to add the unallocated space to the host partition.If it is case 4, AOMEI Partition Assistant doesn’t support merging non-adjacent partitions. If there is enough free space in the host partition to save data from the second partition, you can copy data from the second partition to the host partition manually and then delete the partition to make it be the unallocated space. After that you can merge the host partition and the unallocated space.